The original fisherman's by-the-shore meal. Legal's own Cod Fish Cakes! Traditional 4.5 oz. Cod fish cakes are made only from the highest quality Cod fish, potatoes and herbs. Each fish cake is pre-fried for your convenience. In your kitchen, they can be thawed and pan-fried, deep fried from frozen, or lightly brushed with oil and baked to heat through. So simple and so-o-o delicious! 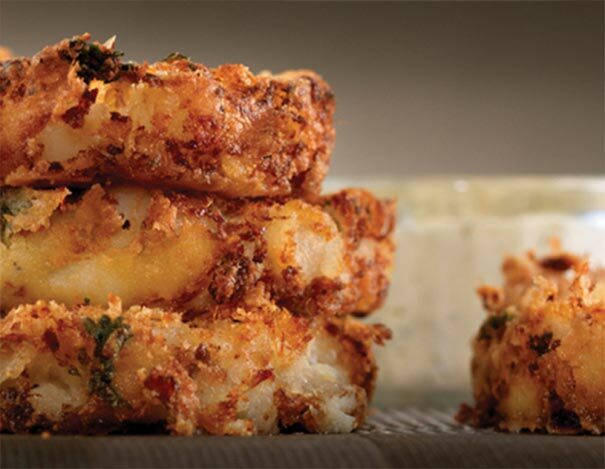 Give the gift of tradition – send fish cakes to someone far away. New England heritage and hospitality have never tasted so good. Our fish cakes are shipped frozen and can be kept refrigerated for 3 days or frozen for 30 days. Remove fish cakes from packaging and place them onto your oiled baking pan. Brush the top of each fish cake with a little oil to aid in browning. Bake for approximately 10 minutes. Cook until internal temperature reaches minimum 165 degrees. I went to Maine last October and found cod cakes! About a month ago, I was looking for cheap fares to Maine just to get these again (okay and to eat fresh lobster too). These fish cakes are amazingly good. 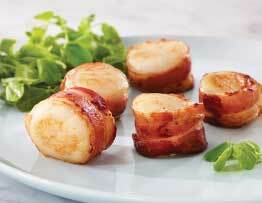 They taste fresh, are nice portions and are great to use in Benedicts. My husband and I live in CA and we have ordered our salmon and crab cakes from Legal for years. About six months ago we tried the Garlic Spinach Stuffed Salmon and also the Salmon Cakes. Both of these new items are delicious. My husband has been nagging me to post a review so Legal sells more and doesn't discontinue for lack of reviews. You will not be disappointed ! I travel to Boston for two reasons: to see my son who lives there and to eat fish cakes. I was delighted to learn that Legal Seafood sells fish cakes. My first order was a success. The fish cakes are nicely packaged. Cooking is a breeze; only ten minutes in the oven. I plated mine with cream green peas and the presentation was lovely. Of course, the best part was the flavor They taste as if they were just made. I was won over immediately. I'll be ordering more.